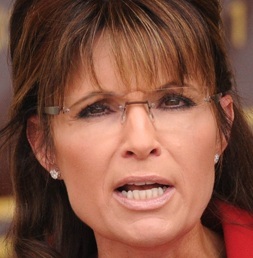 Why is Sarah Palin being so selective in her threats to sue for defamation? She didn't like Joe McGinniss's book about her and said the whole book is based on malicious lies. That's a bit much, as not all the sources were anonymous. How come she's not going after the National Enquirer as well? Or the several bloggers who have been writing about her in the past three years? Does it mean that some people can "defame" her and Joe McGinniss can't? 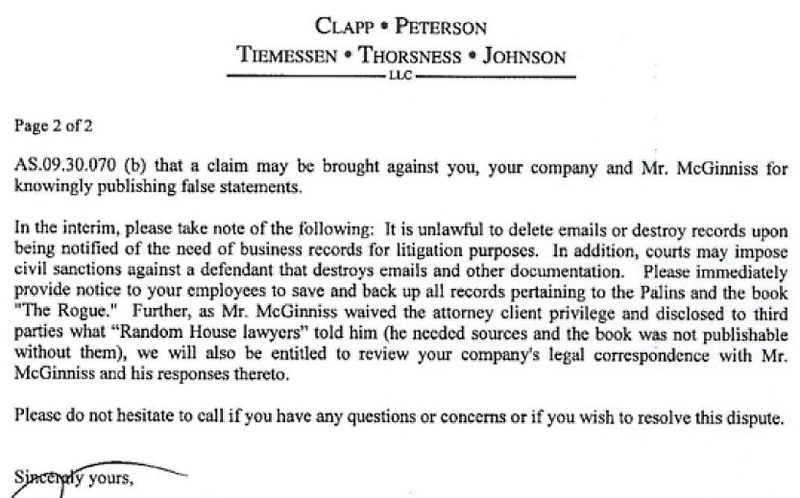 Sarah Palin's lawyer is using a leaked e-mail from McGinniss to Jesse Griffin as evidence that the allegations in the book are false. McGinniss discusses Shailey Tripp, for example. Her story wasn't included in the book because he wasn't satisfied with the evidence presented to him at the time. It doesn't mean Shailey Tripp's story is not true, it simply wasn't solid enough from a legal perspective, so it didn't go into the book. 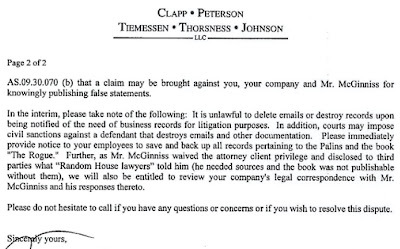 The e-mail seems to prove the opposite of what Palin's lawyer is claiming. The letter looks like a fishing expedition to me. Are they trying to smoke out McGinniss's sources so the Palins can talk to those people?